With all the versatility and family-friendly utility you desire, our 2017 Dodge Journey SE is outstanding in Billet Silver Metallic Clear Coat! Powered by a 2.4 Liter 4 Cylinder that offers 173hp while paired with a 4 Speed Automatic transmission that delivers a smooth ride. 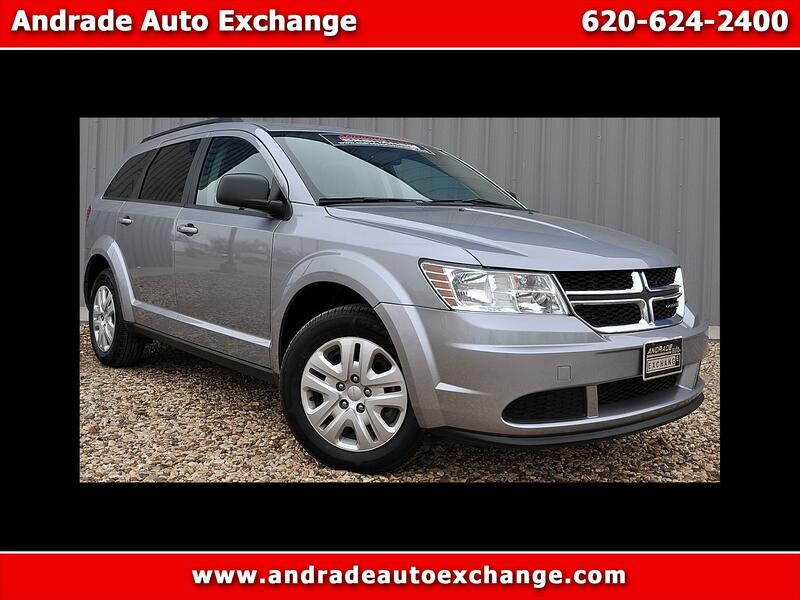 This Front Wheel Drive SUV provides excellent maneuverability while it rewards you with nearly 26mpg on the highway! Stand out from the crowd with distinct wheels, an imposing front grille, and the sporty stance that accent this Journey! With cavernous cargo space, you can pack everyone up and drive off into the sunset onto your next adventure! You'll love the abundance of space in the cabin featuring premium soft-touch materials. Enjoy heated mirrors that stay free of frost and convenient keyless entry, push-button start, and deep tinted glass. A Uconnect touchscreen interface and steering-wheel-mounted audio and cruise controls keep you focused on the task at hand as you and your passengers enjoy a sound system with an iPod/USB audio interface. This Journey from Dodge also offers peace of mind with anti-lock disc brakes, traction/stability control, airbags, and more. Life is a Journey, not a destination. So get behind the wheel and enjoy the ride. Print this page and call us Now... We Know You Will Enjoy Your Test Drive Towards Ownership!